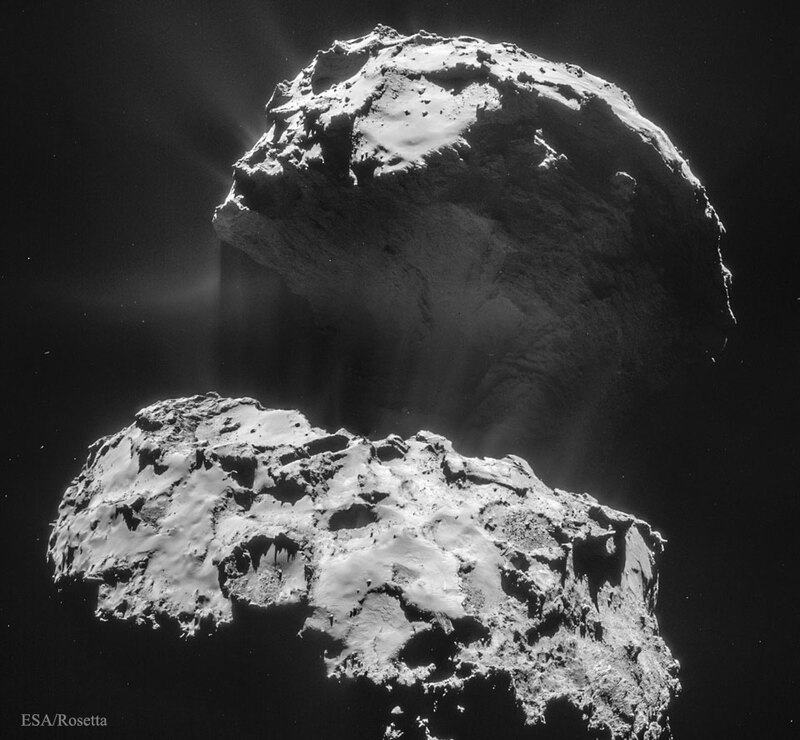 Explanation: Spacecraft Rosetta continues to circle and map Comet Churyumov-Gerasimenko. Crossing the inner Solar System for ten years to reach the vicinity of the comet in 2014, the robotic spacecraft continues to image the unusual double-lobed comet nucleus. 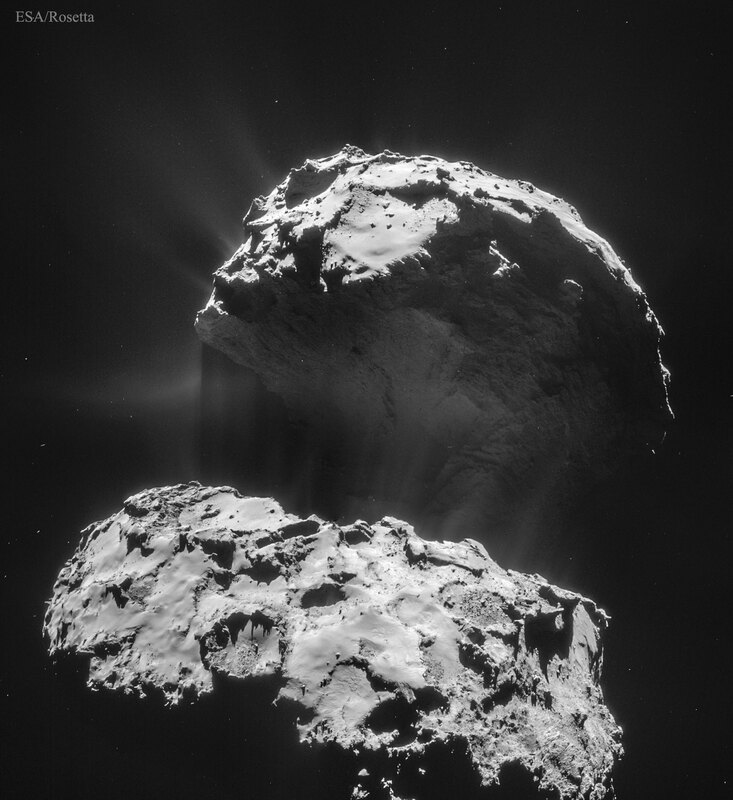 The featured image, taken one year ago, shows dust and gas escaping from the comet's nucleus. Although appearing bright here, the comet's surface reflects only about four percent of impinging visible light, making it as dark as coal. Comet 67P/Churyumov–Gerasimenko spans about four kilometres in length and has a surface gravity so low that an astronaut could jump off of it. With Rosetta in tow, Comet 67P passed its closest to the Sun last year and is now headed back to the furthest point -- just past the orbit of Jupiter.